Welcome to the IHP website. This website was born from an ongoing joke among a group of friends. After a few months, a lot of beers, and a google search the group of chums discovered that there wasn’t a club even remotely close to what they envisioned. They started to kick around the idea but seeing as they are all self-absorbed lazy bums no movement was made for around a year. 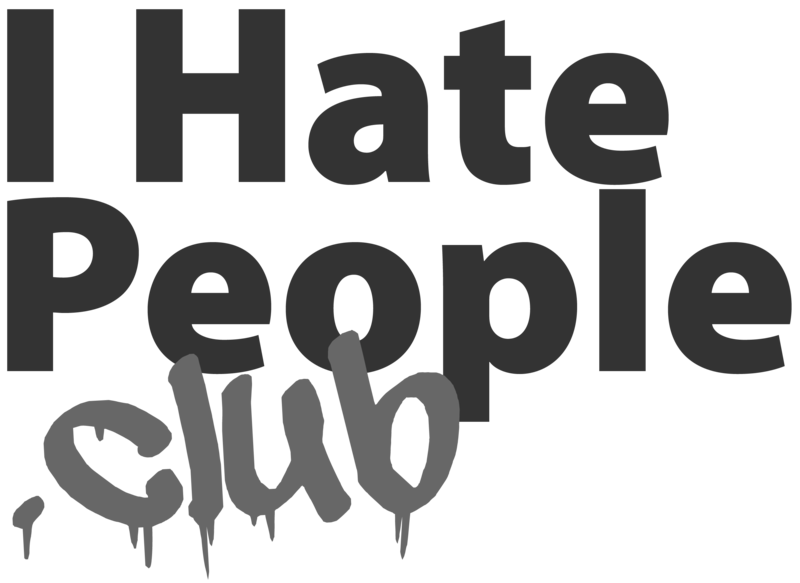 One of them mumbled “I hate people” while they were all sitting around having a drink and another exclaimed, “There’s a club for that —or, at least, there will be after I build the damn thing”. And so it was, IHP was born. The group decided that there would be no user forums, minimal interactions, and as much funny crap they could find, source, and produce.